In The Story of The Voice (Thomas Nelson, 2013) I discuss certain features of the translation philosophy behind The Voice Bible. In chapter 4 I deal with the claim that some translations are “word-for-word” while others are “thought-for-thought.” This seems to be a straightforward and clear way of classifying translations, but there are many difficulties in attempting to draw any kind of strict line between a word and a thought. After all, a word is a merely a thought that has been expressed. I won’t go into the full argument here, but there is a side of it I’d like to talk about. A word, as you know, has a meaning or a range of meanings, what linguists call “the semantic field.” A word like “run” provides a good case in point. In American English you can run a race, run a program, run for office, run a fever, run behind (be late), run amuck (go wild), and be run over. In the long run or the short run, you can run afoul of the law. After you run an errand, you can build a dog run in your backyard. If you wish to run up to New York, make sure your ship doesn’t run aground. If you do, you will likely run into debt. Your favorite team may score the winning run in the last inning. In any case, time is running out for me to make my point. Here’s the point; every word has a dictionary meaning, often referred to as a denotation. But every word or phrase also has a connotation, that is, associations that come along with that word. Everyone who grew up speaking English knows the difference, for example, between a house and a home. No one has ever seen a sign saying “house sweet house.” Any serious attempt to translate from one language to another must take into account not only the denotation of the word or phrase; it must also come to grips with its connotation. I was talking about this recently at Nazarene Theological Seminary in Kansas City with students and faculty. As we were discussing this issue, one of the people mentioned “apple pie.” I immediately thought: “Brilliant!” Here is why. Apple pie may be one of many tasty options on the desert menu, but it is the only desert item so closely associated with America. The phrase “as American as apple pie” says it all. The denotation of apple pie is clear. Apple pie is a baked food filled with sweetened apples and cinnamon surrounded by a crust. 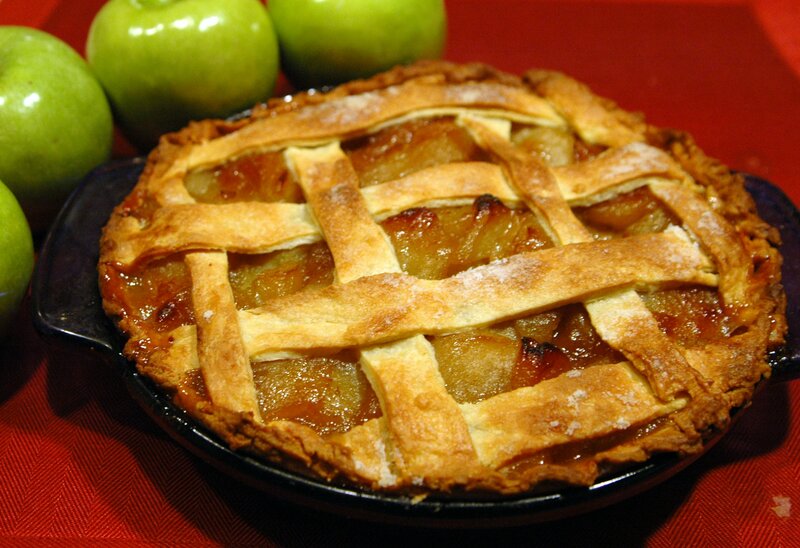 But the connotation of apple pie goes far beyond a tasty desert. Apple pie suggests America, family traditions, good times, everything good and decent about our country. As we worked to translate The Voice Bible, we tried to understand not only the meanings of words (denotations) but their associations (connotations) as well. This is challenging because it means taking into account not only modern, cultural meanings but ancient ones as well. Let me give a brief example, but there are many more described in The Story of The Voice. Take the word “love.” It is an important word in the Bible. In the modern world “love” is primarily associated with feelings. Love expresses what we like or whom we are attracted to. We use the word “love” in many contexts like: “I love my wife”; “I love my job”; “I love my laptop”; “I love my car.” What we mean by all these loves is quite different. At least I hope it is. For God expressed His love for the world in this way: He gave His only Son so that whoever believes in Him will not face everlasting destruction, but will have everlasting life. John’s point—and it is not controversial—is that God has chosen in history to act in the best interests of those He has created by sending His Son. In a covenant sense, God’s action constitutes God’s love. Because love is action-oriented and not a feeling, love must be expressed. Had God not acted, we would not know whether or not He loved. In fact, it would not be wrong to say, had God not acted, He would not have loved. As long as we read the word “love” in the Bible in some modern, sentimental way, we will be hard-pressed to capture much of what Scripture is trying to tell us. If we will stop and consider not only the denotation (what a word means) but also its connotation (all of its relevant associations) we have a good chance of reading the Bible for all its worth. A translation can go far in helping us draw these subtle but important distinctions, but there is no substitute for good, old fashioned study. I think I’ll have a piece of apple pie. By David B. Capes in Uncategorized on May 12, 2013 .